Interpreting the history of your organisation in new and different ways will help the direction of your branding and innovation today, reveals new research from UCL School of Management. The research was led by Davide Ravasi in collaboration with Violina Rindova, USC Marshall School of Business, and Ileana Stigliani, Imperial College Business School. This study, which was based on 10 years of data, examined how producers of iconic products and brands such as Alfa Romeo cars, Ducati motorcycles, Alessi kitchenware and Vespa scooters used historical artefacts collected in corporate archives and museums to support tasks related to product design, brand communication and HR management. Davide Ravasi, Professor of Strategy and Entrepreneurship says, "Our research uncovers that, whilst members of an organisation tend to respect the importance of their company’s history, they do not all interpret how ‘who we have been’ in the past is relevant to ‘who we are’ now, in the same way. The past, our findings indicate, is a reservoir of resources that companies can use in the present to inspire future action. Therefore, mining the history of your company and brand, and doing so with full reign of freedom of interpretation, can prove invaluable in informing the direction of branding and innovation today. The collections of corporate museums and archives – our findings show – support these efforts by serving as repositories of knowledge, sources of creative inspiration, and triggers of emotional and imaginative experiences." 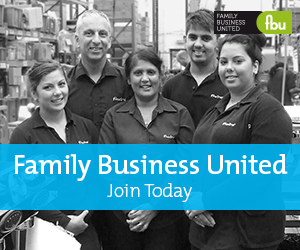 As Paul Andrews, Founder and Managing Director of Family Business United adds, "Family businesses by their very nature have a story to tell, a history that continues to evolve and develop. Whilst we recognise that history and heritate are important, they alone cannot guarantee a future. Successful family firms that last for generations have evolved as a result of good governance and communication platforms, as well as strategic intention and adaption to the prevailing business environment. Family firms that embrace change and remain relevant are more sustainable. Being able to build a history into the piece adds a new narrative that helps to differentiate the business and provide a story to tell too."